A moonlight sip which penetrated into the glass. As I pick up a moisturized cup, a crescent moon remained at the bottom of it. I wanted to bring out the moon clearly seeing the wet paper like the shadow of the moon. Tea time with <Drink the moon>. Now you can enjoy the tea in the moonlight even during the daytime. 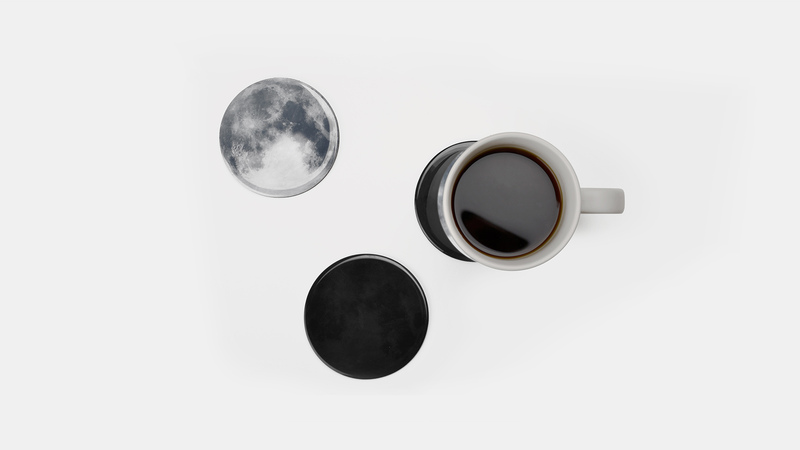 When you place a cup of hot drink on a coaster, the shape of the moon slowly appears along the bottom of the cup. When you put a cup of hot drink of 34 degrees on the coaster, the sion pigment reacts and the inner image gradually becomes visible. 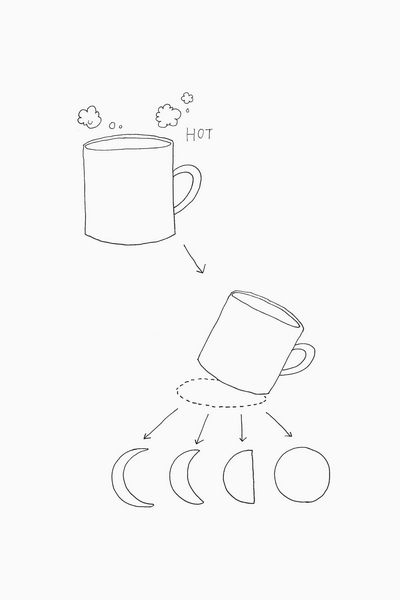 Depending on where you place the cup on the coaster, you will see a crescent moon, a rising moon, and a full moon whenever you lift the mug.